Please sign in or create your very own account to save and share your Strata favourites. 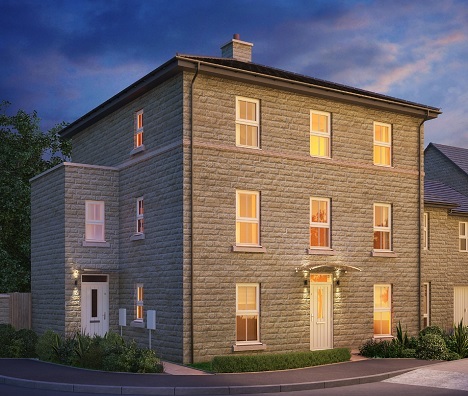 The Barcelona is designed over three floors and has four double bedrooms with a private garage. The home has a side entrance which leads into the kitchen and dining area. The kitchen has an integrated Neff oven and stainless steel sink with mixer tap. The living room at the back of the home features high ceilings and French doors to the back garden. There is also a ground floor cloakroom. 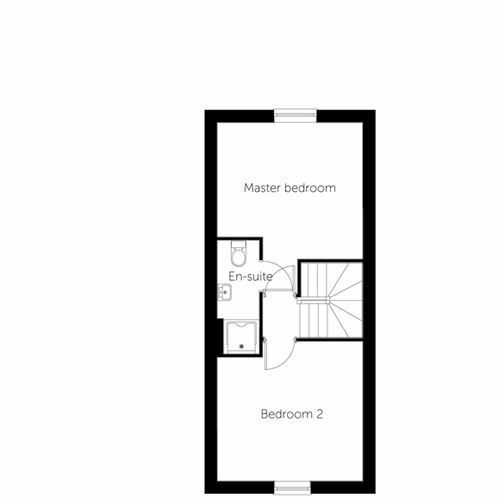 There are two double bedrooms on the first floor and a bathroom with Villeroy & Boch suite. 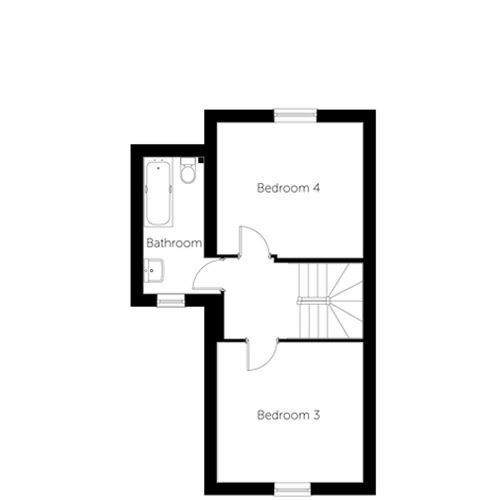 The two remaining bedrooms occupy the second floor. The master bedroom has its own ensuite. 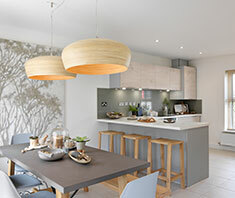 Every home has a sleek and stylish kitchen with stainless steel sink and mixer tap, Neff single electric oven and extractor fan, stainless steel splashback and Indesit ceramic hob. 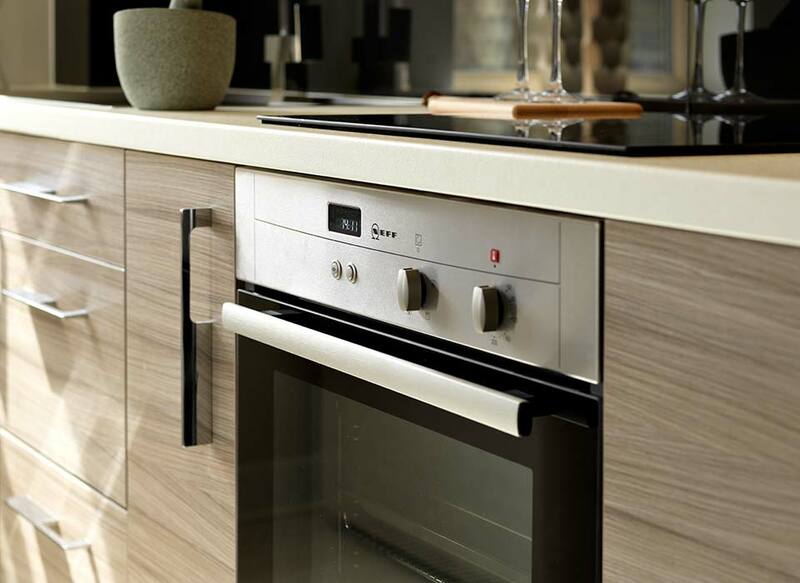 You can personalise your kitchen with your choice of cupboard doors, handles and worktops. There is also a selection of tiles from leading brand Porcelanosa. The contemporary bathrooms and ensuites feature sanitaryware by Villeroy & Boch. 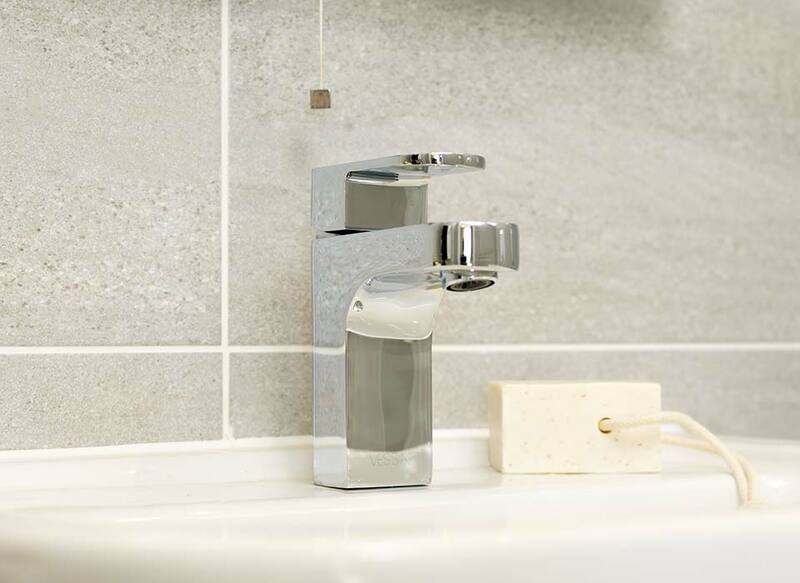 The cloakrooms, bath suites and shower trays are all in timeless white with fixtures and fittings such as taps in stainless steel. Family bathrooms have a bath, shower or a shower over the bath with a glass screen. The luxury ensuites have good-sized square or corner shower enclosures and all tiles are from leading brand Porcelanosa. New homes are approximately 65% more energy efficient, according to the Home Builders Federation. Our homes are designed to be as energy efficient as possible with better ventilation and insulation, quality windows, reduced sound transmission, and increased fire and electrical safety. 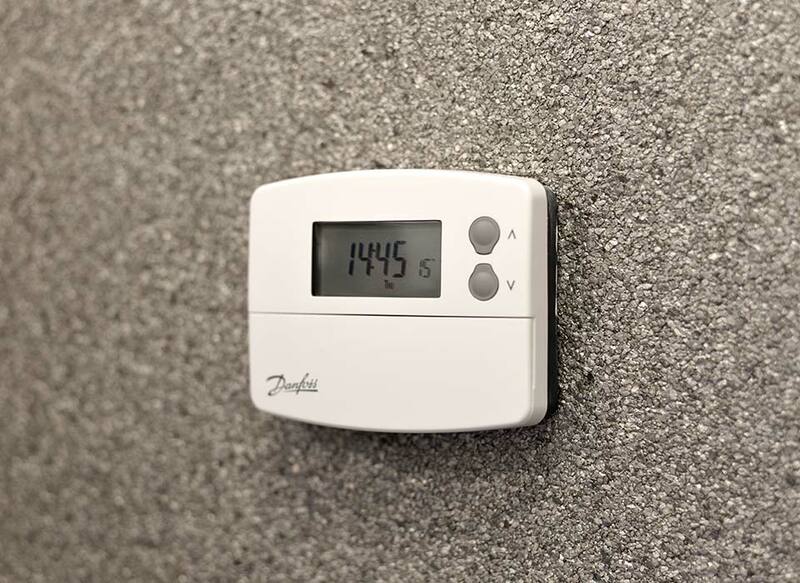 Energy efficient appliances are fitted as standard. 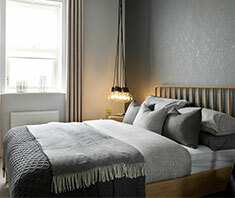 Every home is fitted with gas central heating as standard with an Ideal Logic boiler. Homes are finished to a high standard with oak veneer internal doors throughout. 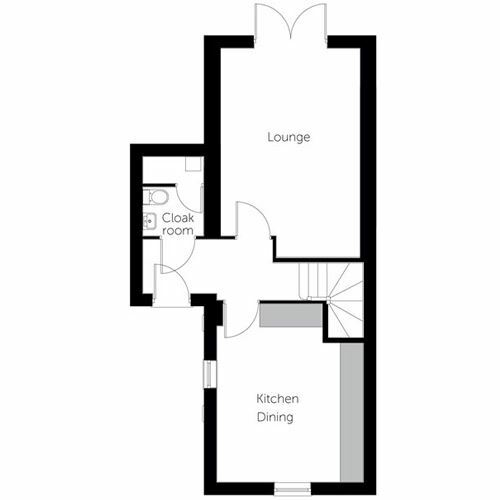 There are two or three television and telephone points, and smoke detectors fitted as standard. 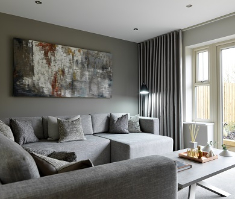 Rooms are decorated in neutral colours to give you the flexibility to move in straight away or personalise the interior design to suit you. 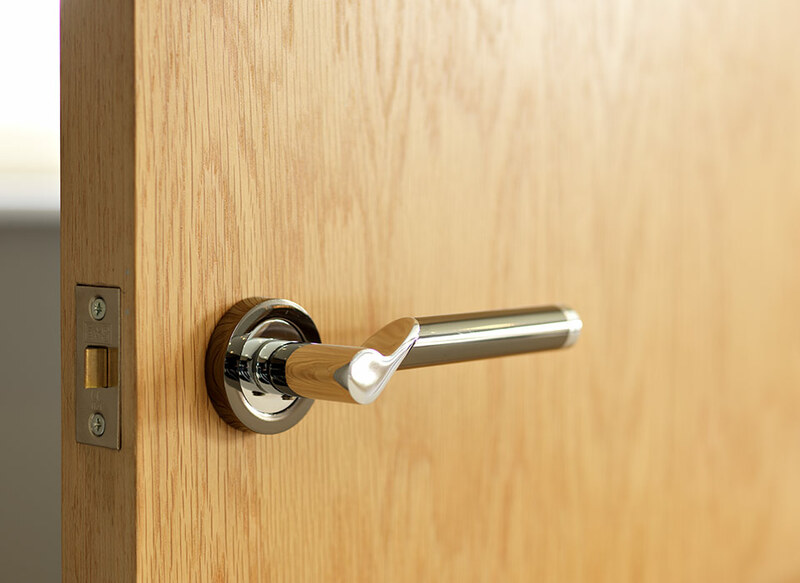 All external doors have a multipoint locking system included as standard and locks on all windows. There are viewing holes on front doors for extra security. 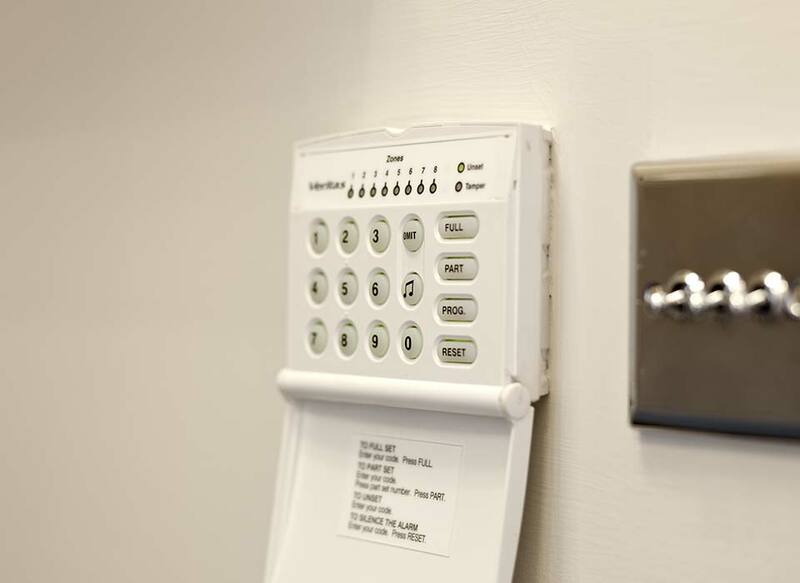 You can choose to upgrade your home with an advanced security system for added peace of mind. 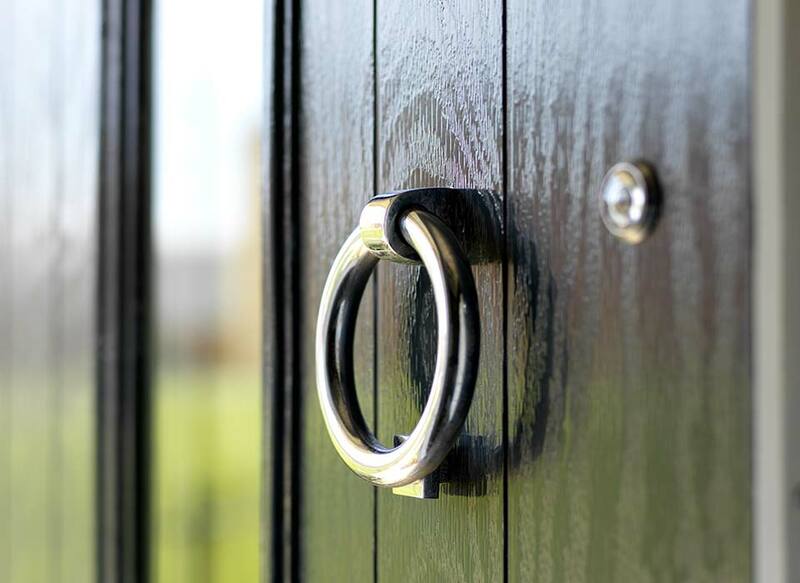 Each home has a statement front door with contemporary handle, door number and knocker. Many have overhead canopies with wall-mounted door lights or ceiling-mounted lights in the porch. 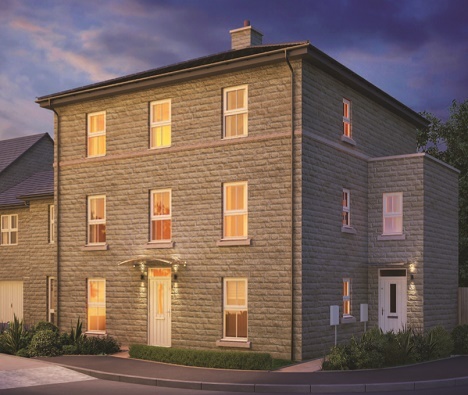 UPVC windows in cream or grey have stone-effect finished cills. 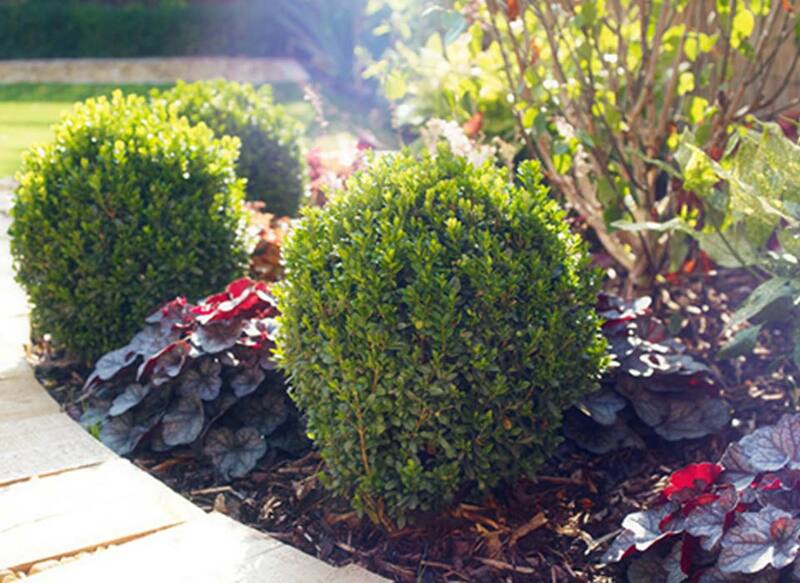 The front gardens are landscaped with a tarmac or block paved driveway. Rear gardens are enclosed for privacy and fencing is finished in a dark brown stain. Homes with an integral or separate garage include doors by leading German brand Horman. 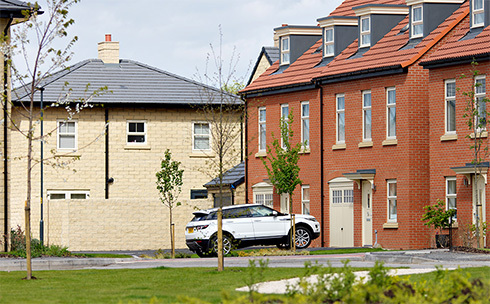 Homes are completed to National House Building Council standard with a 10-year Buildmark warranty. This is the UK’s leading insurance cover for new homes. For the first two years we will take care of issues with the central heating, roof or structure of the property and any other agreed areas such as water services. All kitchen appliances are covered by a two-year manufacturer's warranty. 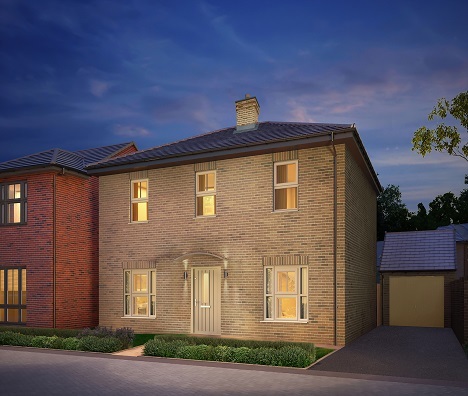 Once built and ready to move in, you will be invited to a guide and demonstration of your new home. On moving day, you will receive a comprehensive homeowner’s handbook and you will be introduced to a dedicated Customer Service Co-ordinator. These particulars do not wholly or in part constitute a contract or agreement and are for general guidance only, and layout may vary to the details herewith and you are advised to check current specification before entering into a contract please ask your customer experience manager for further details. 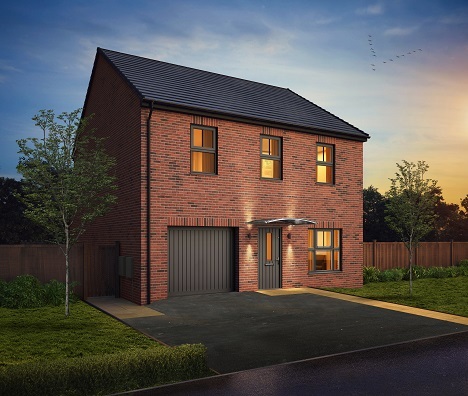 Attraction is our latest development in Hull, located in Kingswood, just 5.6 miles from the city centre. 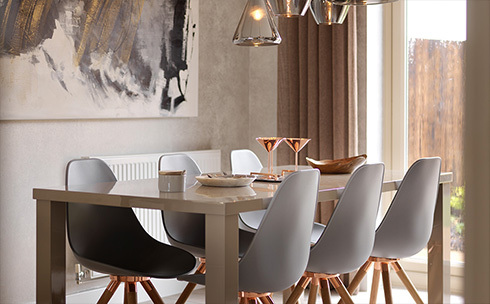 From calculating how much mortgage you’ll need to borrow, to considering Help to Buy and saving for a deposit, there’s a lot to consider when preparing to buy your new home. When making the decision to buy a home, there are a few things you need to consider. 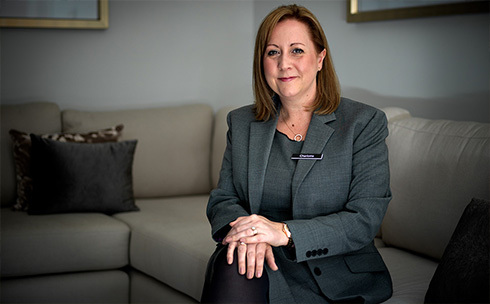 From finding a solicitor and calculating Stamp Duty to budgeting for the everyday costs of running a home, find out more about the pre-move processes. Congratulations! You’ve got the keys and are ready to move in. 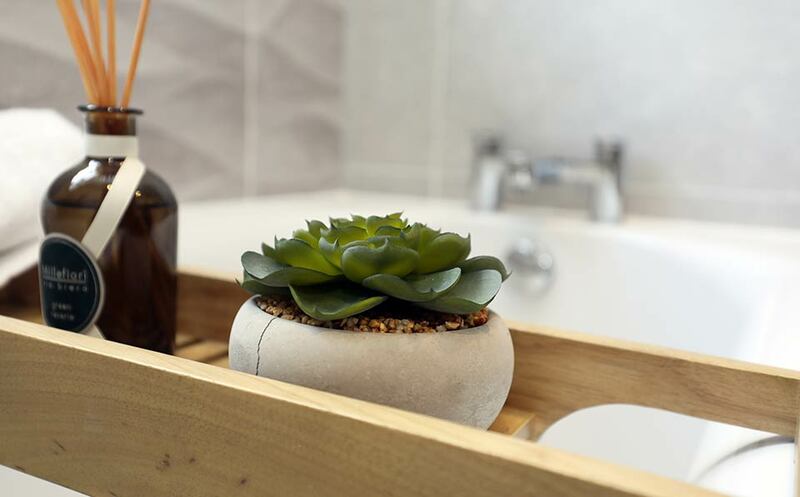 There are just a few final things to tick off the list to ensure the move goes smoothly and life in your new home gets off to the best start. To plan your monthly budget it will help to have an idea of your mortgage costs based on different homes. The figures we indicate do not necessarily you will be able to borrow this amount, and are an indication only.